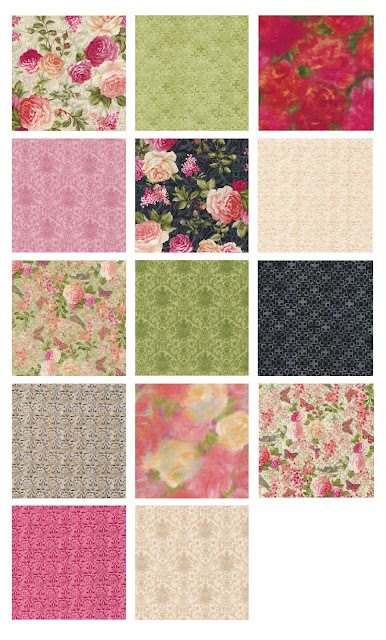 Ro Gregg's beautiful new fabric collection, Natural Beauty, is exactly that! Delicate birdhouses, charming vases, and gorgeous, detailed floral blooms. The coordinating prints are equally lovely: large rose prints, two different tonal prints in a variety of colors, and a butterfly floral. The coral, pink, soft green, black and cream palette is perfect for a romantic bed quilt! 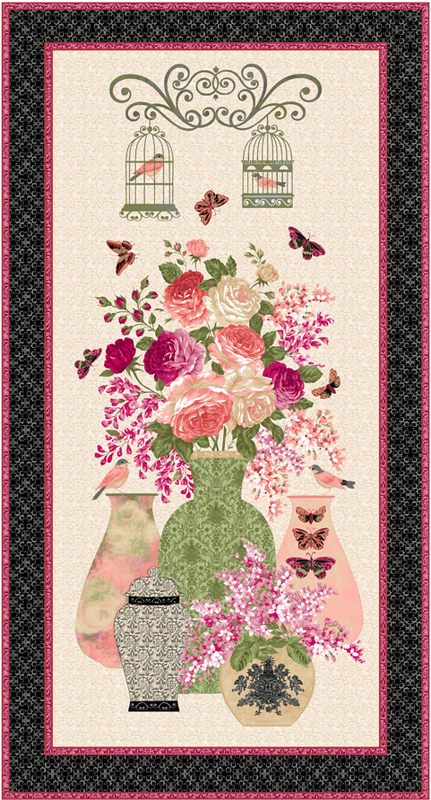 See the entire Natural Beauty collection here and ask for it at your local quilt shop.